Very very clean! That's very important to me. Angel is a great host and very helpful! Everything was just amazing, it's a little village of individual cave houses. The host Angel is a appsolute gent and his knowledge of the area is second to none. 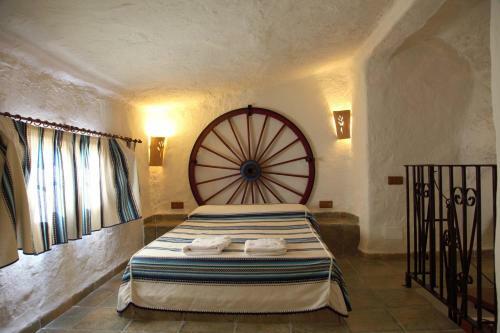 This booking was a surprise for my wife because she had always wanted to view a cave dwelling and she was over the moon with what we were given to spend the night in. A must visit if you are in the region. We intend to return in February for more of a holiday than a stop over, and see more of the area. Thanks again Angel for a amazing experience. Angel, the owner was excellent and helped out enormously! Wow experince - especial with /for kids . Great host. El hecho de que fuese una cueva, la ducha, la tranquilidad del entorno, el equipamiento y las vistas. Angels was a great host and very helpful. We had an amazing stay. It was perfect. The cave accommodation was fantastic. So unusual - very quirky.We travelled to Huescar just to stay in this cave. great night sleep, friendly hosts, beautiful view. Lock in a great price for Cuevas La Atalaya - rated 9.3 by recent guests. 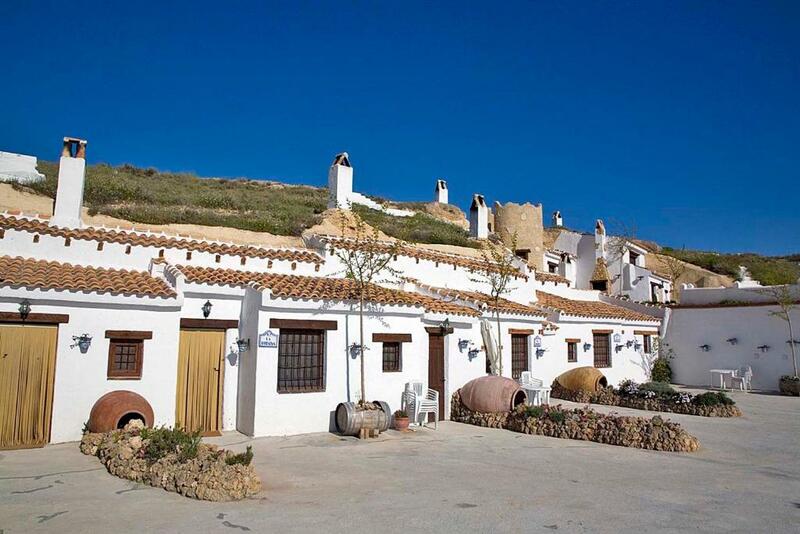 One of our top picks in Huéscar.Cuevas La Atalaya offers 6 fully-equipped cave houses just 5 minutes’ drive from the town of Huéscar. There is a swimming pool and barbecue facilities. All caves feature 1, 2 or 3 bedrooms and a spacious living-dining area with a fireplace and a fully-equipped kitchenette. Each also features an outdoor eating space. The caves stay cool throughout the year because of their stone walls. 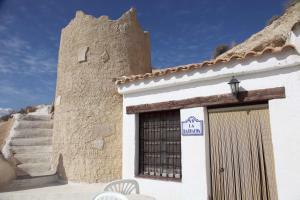 Guests will find several bars, restaurants and shops in Huéscar, just 1.5 kilometres away. Staff are happy to provide information about outdoor activities in the surrounding area, including hiking, canoeing or bungee jumping. Lorca is an 80-minute’ drive away, while Granada, and its historic Alhambra Palace, can be reached in around 1.5 hours by car. 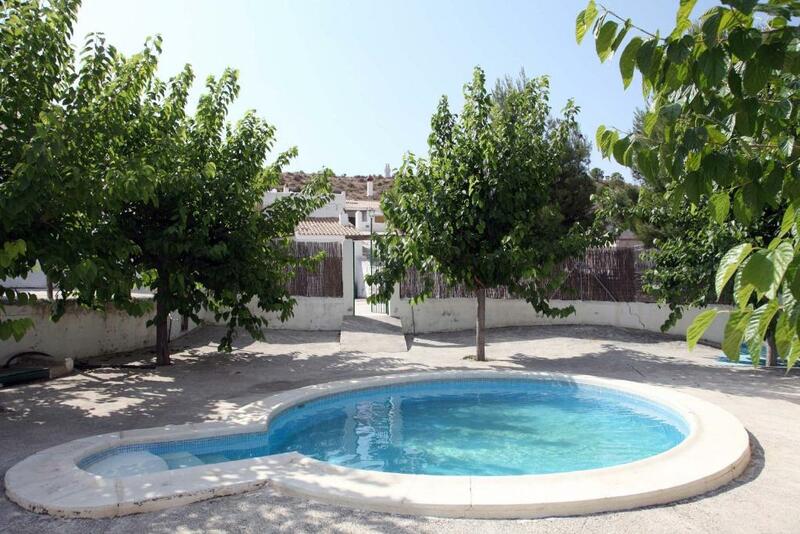 Malaga Airport is 174 miles from the property. This property is also rated for the best value in Huéscar! Guests are getting more for their money when compared to other properties in this city. Cuevas La Atalaya has been welcoming Booking.com guests since 11 Nov 2011. 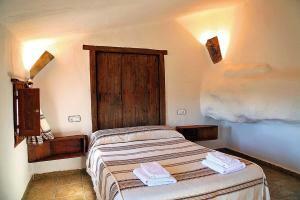 When would you like to stay at Cuevas La Atalaya? This heated cave features includes 1 double bedroom, a bathroom with bath tub or shower, and a spacious living-dining area with a fireplace and a sofa bed. The kitchenette is equipped with a fridge and microwave. This heated cave features includes 1 double and 1 twin bedroom, a bathroom with bath tub or shower, and a spacious living-dining area with a fireplace. The kitchenette is equipped with a fridge and microwave. 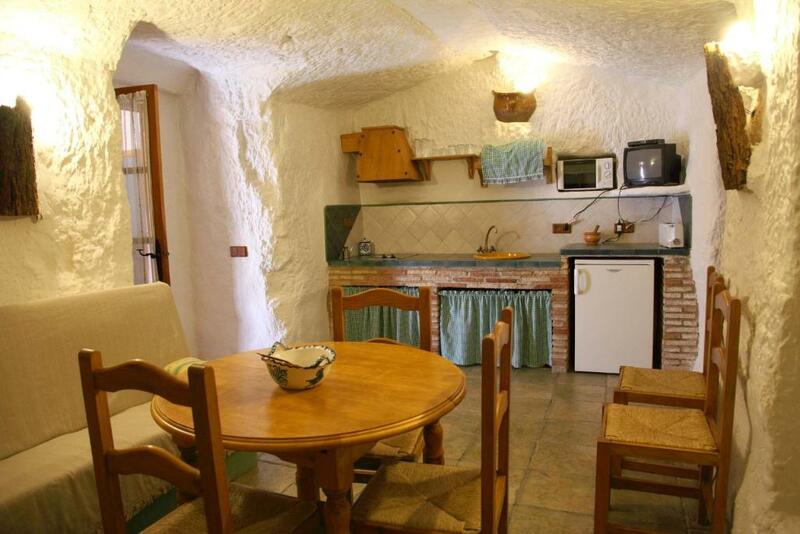 Studio cave for 2 people, with a well-equipped kitchen area and 1 separate bedroom with a double bed. There is a fireplace, TV and furnished outdoor area. 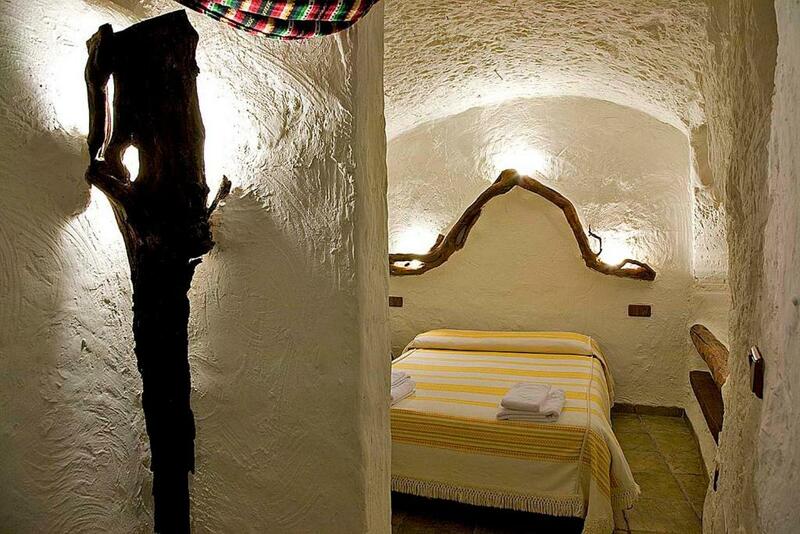 Cave with 3 bedrooms, ideal for groups of 6 people (or up to 8 people with extra beds). 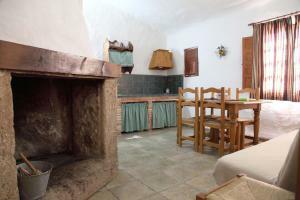 It has a well-equipped kitchen, a lounge diner, furnished outdoor area and 1 or 2 bathrooms. House rules Cuevas La Atalaya takes special requests - add in the next step! Cuevas La Atalaya accepts these cards and reserves the right to temporarily hold an amount prior to arrival. Please inform Cuevas La Atalaya in advance of your expected arrival time. You can use the Special Requests box when booking, or contact the property directly with the contact details provided in your confirmation. For longer stays and cooking lovers a better equipped kitchen would be good. La cama un poco incómoda. the property is really nice- the caves are beautiful. Everything about the place was wonderful. I would recommend this place to anyone who is in the area and it was a really good experience. Not much to pick on here. It would have been nice just to have a bottle of water in the fridge on arrival because we arrived with no provisions. The whole cave thing was fantastic, the views at night as the sun dropped was only equaled by the daytime vistas The lady who looks after the caves was very pleasant and helpful. The owner was a gentleman and assisted us with ordering a meal to be delivered right to the door from a local restaurant the as temps were quite extreme to walk the short distance to the diner. We were on motorbikes and didn't want to use them once parked up. The cave accommodation itself was better than we expected and has all the utensils needed for self-catering. I think what we'll do in the future is book this for a few days and use it as base to explore the 360 degree theme park of mountain passes and desert twisties.